PF Concept launched the new Superheroes concept in the apparel category. With this new concept you can order fast and easy a branded T-shirt and a cap without any hassle and delay. All it takes is to place one order at PF Concept. Elevate short sleeve unisex T-shirt Heros (38028). Photo: PF Concept. The concept is based on a brilliant equation: P + S x D2 = competitive price for Elevate quality + (high) stock levels x super-fast decoration. A powerful package that redefines the branding standard. The Elevate short sleeve unisex T-shirt Heros (38028) and the Bullet cap Feniks (38666) offer a good performance with a good price, high stock levels in matching colours, and if desired a superfast decoration in two days for up to 250 pieces. For higher quantities standard production lead times applies. PF Concept’s warehouse, production- and decoration centre in Poland, PF Logo Express, uses customized machines to produce the Superheros. These were developed by a supplier in cooperation with the in-house PFLE engineering team, both with a lot of know-how and a high level of expertise in this field. The Superheroes are made of 100% cotton and one can choose between many individual options that satisfy every taste. Heros and Feniks are presented in 12 matching colours, and the T-shirt in 8 additional colours. From classic white, black, red and navy to trendy pink, orange and apple green to striking yellow. In the size range 2XS to 3XL, all 20 colours are available. For the sizes 4XL/5XL, the T-shirt is available in white, red, black and navy. 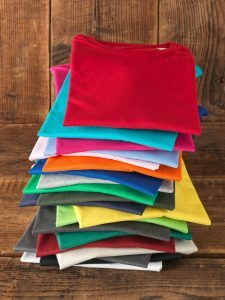 The T-shirt is manufactured in Elevate quality with the Elevate branding only visible on the tear-away label. If desired the garment can therefore appear completely in the customers’ corporate image – all the way down to the label. 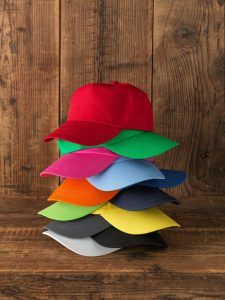 The superfast-decoration option within two days applies for the cap with screenprint in one colour and with digital print in 4 colours (CMYK). For the T-shirt, screenprint is offered in two colours. Additional decoration options are available with standard delivery times. Depending on the branding position, Heros and Feniks can be decorated with screenprint, embroidery and True Edge transfer printing.